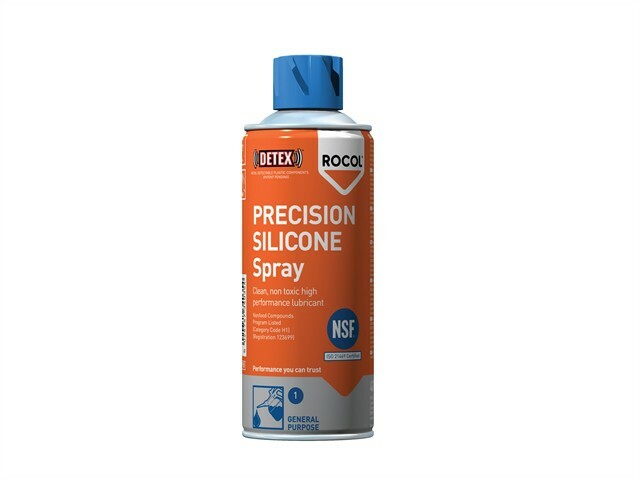 Non toxic colourless silicone spray providing a light lubricating film with wide temperature stability. Ideal for slides, bearings and conveyors. Resists oxidation and corrosion.